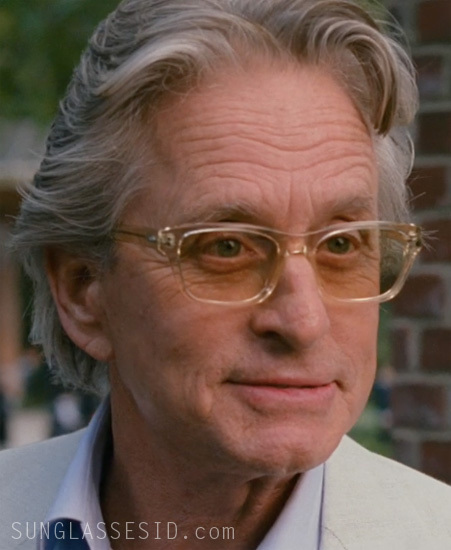 In the movie Wall Street 2: Money Never Sleeps, Michael Douglas as Gordon Gekko wears a pair of Barton Perreira Halston glasses with a see-through frame and custom, lightly shaded glasses. 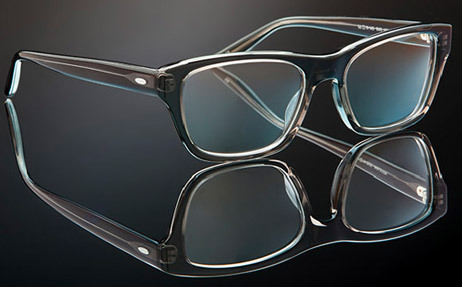 A visitor of this website had suggested that these are Oliver Peoples Racine, in Halo frame color but even though these are very silimar, they turned out to be Barton Parreira. 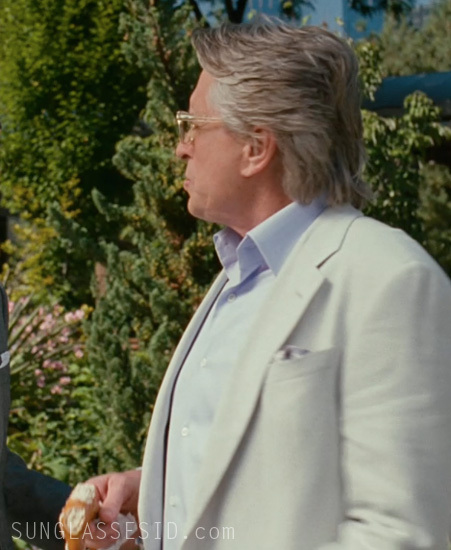 By the way, the shirts worn by Michael Douglas and Shia Labeouf were custom tailored by Anto Beverly Hills. Anto Distinctive Shirtmakers is a legendary custom tailor who has been working with Hollywood for the past 50 years providing custom shirts to everyone from Frank Sinatra to Johnny Depp. Besides their celebrity clientele they work closely with the film industry and have done shirts for many top films. This family owned business has had their flagship store in Beverly Hills since 1976.